At this point, I can't wait for the Williams Sonoma catalogue not only to see what they have for the season, but to check out what recipes they have included. 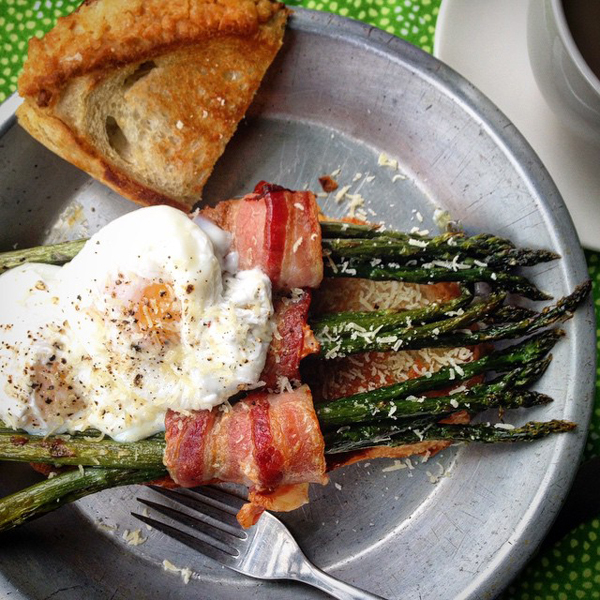 The latest was a brunch idea, Poached Eggs with Bacon Wrapped Asparagus. I made thick cut toasted bread on the stovetop to put under the asparagus and dip into the eggs. Mmmm MMMM! It was good. I don't think we could have had anything better in a restauraunt this morning.